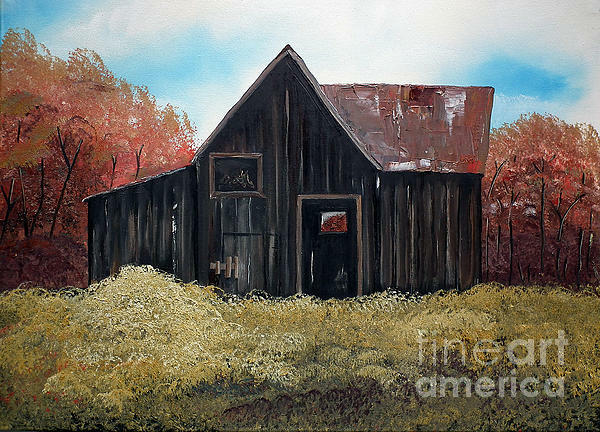 Beautiful painting with great textures! Such a beautiful country scene! Love the textures of the grasses and trees! Fabulous painting! Congrats on your awesome sales! FEATURED in Barn Lovers Group on 2-2-2014 As always, autumn scenes are so much fun, filled with color. 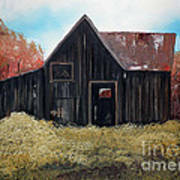 This old barn is painted in oil on canvas. The sky is a rich blue, trees are orange and the grass and wildflowers growing in forefront are all rich in color. Available through FAA you will find Canvas prints, acrylic prints on canvas, prints, greeting cards , barn prints, barn canvas prints, rustic oil paintings, oil paintings of old barns,. 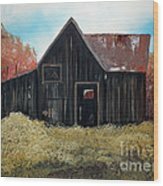 rustic barn prints, rustic barns printed on canvas.